I thought these were so wonderful when I made them several years ago – today, it occurs to me that they aren’t made for writing words because I made them appropriate to my needs and not thinking of others. They are visual calendars intended to show when it happens from now – and when now is. Visual Calendar Posters Month of July – I designed one for each month to be used together with other visual tools. CricketDiane design. This calendar is part of a visual calendar system I designed for me to understand the relationships visually between what is now and how far away an event, an appointment, a happening or the need to prepare those things for them, would occur. At the same time, I was making (on Zazzle’s print on demand site), magnets, stickers and small business card sized cards to go with it and work in conjunction with it. I didn’t even think about the fact that it isn’t appropriate to words being written on the calendar until just now and that most people use a calendar differently by putting in those words to describe tasks, appointments, events and other nifty stuff. Apparently, calendars are only appropriate to other people which have room for the words, which really doesn’t help me at all even though i can use calendars that way. It doesn’t fill a need for people who want to write on them, but I didn’t really know that. The relationship between now and when something happens has been an ongoing difficulty for me and most left-brained, verbally based and written calendars are not much real help. I’ve colored in the columns of Mondays in pink, Tuesdays in green, Wednesdays in yellow, Thursdays in blue, Fridays in orange, Saturdays in red, Sundays in purple using my own color coding system. That helps a lot. I discovered in use, that these colors next to each other for the days have enough contrast from one another to be visually remarkable from one another rather than confused. And, I’ve used that on traditional calendars for years. Then post-it notes, cards, magnets, stickers and other things can coordinate with those to say when it is, but they don’t have the capacity to effectively convey the “getting ready for an event” part. If something is happening on Wednesday, I can see to get ready for it a couple days in advance using the color coded calendars. But, for something that takes three months of preparation, like an art show, an industry trade show, a makers’ faire, a light art show that I want to show my work – not so much help from traditional calendars with big squares to write in. 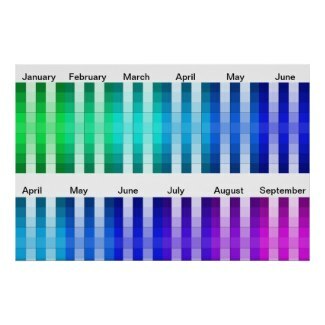 Color coding magnets for visual calendar system and visual communication / to use as visual identifiers – one of several types on my CricketDiane store at Zazzle for use with the calendar / when is now systems. So, one of the things I designed as the visual calendar system was being put on my zazzle store, were calendars that show the paradigm shift of today / now as well as its relationship to events in a style of calendar like those above with a place for magnets, pushtacks with colored tops, color paperclips hanging from them, stickers, post-it flags and avery round circle stickers in solid colors. But, it also shows a three month shifting calendar at the bottom of each poster to describe the get ready time for various shows, events, gallery things, light art shows, makers’ faires, trade shows and competitions. 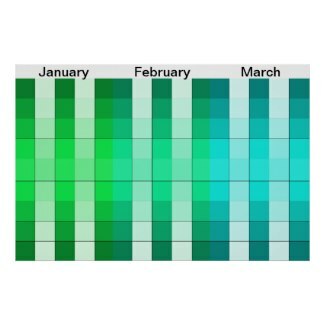 This calendar shows a three month lead time to prepare for an event using the bottom calendar to express when now is in relation to getting ready for it. 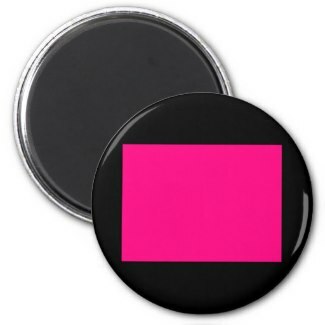 For me, pushtacks with colorful tops can work, but I also designed sets of different magnets, cards, stickers and something else to go with it. That was needed too, because there is often a need for those items to use as visual identifiers with this calendar system including post-it notes, things like that to make notes toward an event that can be color coded similarly. It just isn’t made to write on it – which I didn’t realize, makes it less than useful for people who want to do that. Maybe I’ll go back and redesign it to work for both. In our house and business, calendars really must serve my needs but others need to read them in their way too – using words, I suppose, or they might not be helped by it. Could it be made to do both? Hmmmm……. I’m about to go find out.